Today’s a good day for fans of WayForward’s Shantae series. The November issue of Nintendo Power has revealed that a sequel is in the works. The title is set to release on the 3DS eShop and will feature Shantae teaming up with her once-antagonist, Risky Boots, to take on a common foe. 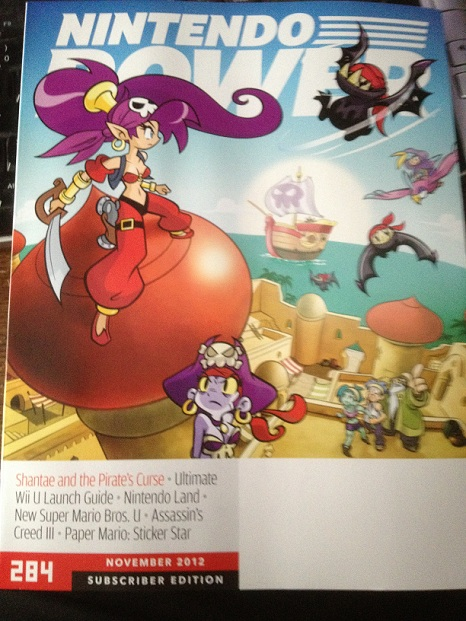 It will be called Shantae and the Pirate’s Curse. Certain details of the game have been released. First and foremost, Jake Kaufman, composer for the series as well as the Mighty series of DS and 3DS games, Retro City Rampage, and Double Dragon Neon, will compose the music for the game. The game will feature a Metroid style map as well as alternate paths to find. Rollytops, Uncle Mimic, Sky, and Bolo, are all expected to make an appearance. Finally, the game is expected to release on the eShop in 2013. Next Post:What if Video Game Personalities Were President?